Angus Mills has lived in Hamilton on and off for many years. 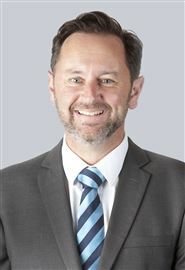 His real estate career started with Harcourts in 1989 and he achieved good success selling residential property until he took up the position as Branch Manager at the Hillcrest Office where he has been for some years. In 1997 Angus gained his Diploma in Business Studies (Real Estate) and as a result was made associate of the Real Estate Institute (AREINZ). Angus has led the Hillcrest team of Residential, Rural and Lifestyle salespeople for a number of years now. Some outstanding results have been achieved by the office including a National Top Office Award and numerous Central Region Awards. Salespeople in the office continue to excel and three of the Hillcrest team are currently in the Harcourts Hamilton Top 10. If you are considering a real estate decision whether it be buying or selling, or maybe as a career, I would be happy to discuss your situation with you. 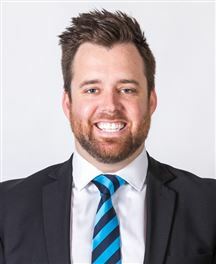 Mark's enthusiasm for real estate meant joining the Harcourts team was the perfect fit, after a successful banking career highlighted by numerous awards and promotions. His success was built from providing an outstanding customer service experience to his clients, and a dedication to following up and following through. Mark's professionalism has seen him create a vast network of contacts across Hamilton and the wider North Island. Mark's engaging personality and his interest in people help him understand your needs so he can match you with your dream home. To experience Mark's level of customer service, call Mark today. On meeting Melissa, her friendly and respectful nature, matched with her professional attitude, will automatically confirm you made the right choice when choosing a salesperson. Melissa is originally from Taiwan. She speaks Chinese, Taiwanese and English. 10 years involved in International Trade Business and 4 years in early childhood education has led to Melissa’s thoughtfulness and strong work ethic. She is an open and honest communicator who listens closely to her client and customer’s needs. Melissa is passionate about what she does. She is efficient, reliable, and pays attention to detail and goes that extra mile to get things done. Whether selling or buying, call Melissa today. I take charge of the Lifestyle and Rural sales for Team Haman and I always strive for the best. The last 5 years that I have worked in the industry, I’ve helped 100’s of people into their first homes, first lifestyle blocks and many dream home purchases which I’m very proud of. I take marketing our vendors homes very seriously and embrace new forms of technology to ensure your property is seen by a greater audience, with a focus for online and social media sites. We are always one step ahead of our competition and this is to the benefit of our clients. No stone is left unturned when marketing with us. We make sure we deliver the best possible marketing available. My friendly, and understanding nature is an important trait that I offer, making sellers and buyers feel at ease when choosing me for their real estate needs. Being a part of a successful team like Team Haman means successful results for you. I take care of the residential sales for Team Haman and I pride myself on providing exceptional service to every one of our clients. I’m an expert negotiator and work hard for our vendors to get - not just results - but premium results. Much of my business comes from repeat clients and I have clients that have used our team to sell their properties time and time again. My professionalism and understanding of my client’s needs is extremely important to me and makes me a stand out in my field. Being awarded as a HARCOURTS HAMILTON TOP TEN salesperson for the last 7 years I know how to get your property SOLD. My enthusiasm and dedication is second to none and has enabled me to excel in the industry. I am very passionate about the auction process and have a very high success rate with my auctions as I do them, simply put – the right way. I’m friendly, approachable and my sense of humour helps take the stress out of selling property. I take pride in mentoring other salespeople to help them reach their potential and I thoroughly enjoy being a part of Team Haman. Olimpia moved from Romania to New Zealand with her husband and two small children back in 2007, and has since been living in Hamilton. She has worked hard every step of the way, and can achieve anything she puts her mind to. With European heritage, she fluently speaks the Romanian and Hungarian languages and with that comes her natural ability to relate to diverse cultures and customers from all walks of life. Olimpia is always dedicated to making her clients feel exceptionally well looked after. With that said, there's no doubt that she will excel in her role and will make your real estate experience personal, enjoyable and most importantly successful. Give Olimpia a call today and let her turn your dreams into a reality. 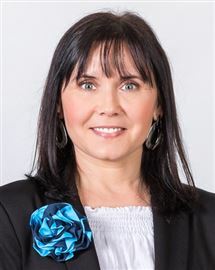 All Paul and Bobbie's listings are grouped together under Bobbie Sumner (formerly Bobbie Davies) - Harcourts Hillcrest Rural and Lifestyle Team. Paul is a well-known salesperson in the Hamilton Real Estate industry having been active in the commercial market since early 2004. He is experienced in both leasing and selling of commercial properties and has brokered many deals through to completion with a total market value of around $65 million dollars. As of March 2012, Paul has moved into the rural and lifestyle area at Harcourts Hillcrest teaming up with his wife Bobbie Sumner. 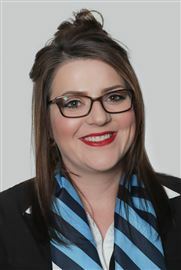 Bobbie has been a successful salesperson in the Hamilton lifestyle property market since September 2011. Having been born and raised in Hamilton and previous industry experience means Paul has established long term relationships with numerous clients and his welcoming, relaxed attitude and attentive nature ensures the job is done without fuss and uncompromised. Success in real estate comes from a combination of factors including energy, enthusiasm, a strong work ethic and commitment to achieve the client's goals. Paul brings those qualities to his business and working within an international company like Harcourts goes a long way to ensuring his clients get the best opportunity and exposure in the market place. From when he first started in real estate his motto has always been "Helping people get to where they want to be". This still stands true today. To "get where you want to be" give Paul the direction you want to head and he can help in the journey. Freephone 07 211 7521. Peng Guo has been in New Zealand for 27 years, and he has a Masters Degree in Agricultural Engineering. His other passion is food and he has had many years in the hospitality industry. Having been in Hamilton for 16 years, Peng has a wealth of knowledge of Hamilton and is able to guide his clients and customers through the intricacies of the property market. Peng works hard and customer and client service is paramount, and he strives to exceed client’s expectations. Peng can speak Mandarin and English. When you are thinking of buying or selling or want some real estate advice, please give Peng a call. Tracey O’Brien ‘cut her teeth’ selling in the very competitive hospitality industry from a young age, and while raising a young family, Tracey was involved in a number of property transactions. She knew selling and marketing properties would be in her future. 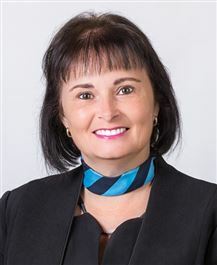 With an engaging personality and freshness so rarely seen, together with her own property experiences, Tracey has the ideal background to ensure your real estate needs are confidentially and successfully met. Whether you are intending to buy or sell, let Tracey take the stress out of such an important decision. Her professionalism and integrity will ensure the best possible result for your situation. 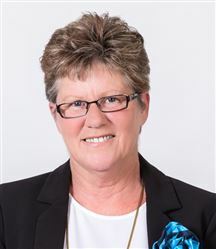 Tracey is no stranger to hard work and relishes being a top performer for Harcourts while balancing the demands of a family who are vitally important to her. Tracey looks forward to your phone call to assist you in starting your next journey, you will be pleased you did. Adam Flegg brings to Harcourts his fresh approach, boundless enthusiasm, energy and passion. As a born and bred Hamiltonian growing up in Glenview and attending Hillcrest High School. Adam has strong ties to his community having coached Junior cricket and has a wealth of local knowledge. 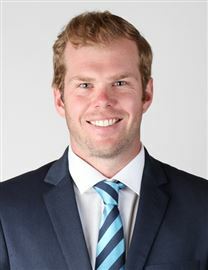 Adam has been involved in a wide sporting background with cricket at a high level competing in England and representing Hamilton, Northern Districts and Otago. His involvement in sport has provided Adam with strong attributes of discipline, leadership and teamwork which he transfers over into his activity as a sales consultant. Adam provides his clients with experience and foresight to proactively communicate and guide them through every detail of the buying and selling process from the first phone call all the way to the close. Adam has excellent attention to detail, listening skills, high moral standards and along with his caring and approachable nature prides himself on his service to his customers. “As a sales consultant I strive to always put my clients best interest first to achieve their goals.” For a salesperson with a Fresh approach to Real estate that brings energy enthusiasm engage Adam to help you get to where you want to be. I’m the expert buyers specialist for Team Haman. I’m a natural communicator and I thrive for the very best for my clients. My reputation of being one of Hamilton’s TOP buyers’ specialists gives you confidence that you’ll only get the best service and advice. Buying and selling can be a very stressful time and it’s my number one priority to understand your needs and ensure you have a positive experience. I am a very successful negotiator and an expert in multi offer situations. The trust that my clients have in me creates these successful outcomes. Many of my clients are referred to me by previous clients as they wouldn’t recommend anybody else. I’m proud to be a part of the award winning Team Haman for the past 6 years. Executive Assistant to Bobbie and Paul Sumner. 'The Harcourts Hillcrest Rural and Lifestyle Team'. 270 Cambridge Road, Hillcrest, Hamilton NZ. Harcourts Hamilton would like to welcome Matt Mills to its Sales Team based in the Rototuna office, Matt cut his teeth managing a sales team for Livestock Improvement and more recently a Supply Chain team for Fonterra prior to that behind the scenes of broadcast television at TVNZ and SKYTV was his home, Matt’s wealth of experience, passion for technology coupled with his creative flair will ensure your home will be marketed to its full potential. Matt is easy going, dedicated and passionate, no request will be too much in his dealings with you. If you are looking for a new and revitalised take on Real Estate and a fresh experience, give Matt a call or text on 0275787761. Fresh & New Just For You! Am I The Cheapest in Tamahere? Vendor Wants an offer Now!